CrossFit Kids is not simply a scaled down version of CrossFit, it is entirely absolutely CrossFit geared and designed for a special population and the specific developmental needs of that population. (neurological, cognitive, motor). CrossFit Kids is a strength and conditioning program that is specifically designed for kids and helps them develop a lifelong love of fitness. Children participate in fun and engaging workouts in a group setting that deliver measurable results and prepare them to be well-rounded athletes. CrossFit Kids is being implemented across the country in preschools all the way up to high schools, in before-and-after school programs as well as integration into Physical Education curriculum and is the core PE class for many home school groups. CrossFit Kids workouts consist of constantly varied, functional movements that deliver a fitness that is broad, inclusive, general and scalable for any participant at any level. Generally, no two workouts are the same, so kids won’t get bored and the novelty of each workout keeps them excited about coming back each week. The functional movements involve exercises that are fundamental to all things that kids need to do when they play – pull, push, run, throw, climb, lift and jump. When fitness is defined as broad, inclusive and general it means that participants will become well-rounded athletes & better at any and every sport that they play because CrossFit Kids doesn’t coach them to be good at just one thing. Our workouts will increase physical competence in 10 fitness domains: Cardiovascular and Respiratory Endurance, Stamina, Strength, Flexibility, Power, Speed, Coordination, Agility, Balance, and Accuracy. Our CrossFit Kids Spring Session will begin Wednesday, Feb. 6th, and will run until Friday, Mar. 22nd. Classes are ~45 minutes and meet on Wednesdays and Fridays from 5-5:45pm. We will NOT have class on Friday, Mar. 1st. Adult CrossFit and RISE classes are going on at the same time as Kids classes. It is our hope that you can workout while your children workout, also! Once kids are finished with class, they are welcome to hang in our kids’ room while parents finish up their own workout! Cost – $75 for the full 7 week session. *We know that many families have more than 1 CrossFit Kid! We offer discounts for additional siblings participating in CFK as follows – 20% off 1st sibling, 40% off 2nd sibling. Discounts applied to both CFP members and non-members. At CFP, we currently offer a home school/Performance Lab class twice a week. These classes are appropriate for any teens involved in any sport and are made up of a variety of strength & conditioning exercises. Performance Lab classes aim to ingrain proper lifting technique in our athletes, as well as increase body awareness and physical competence in the 10 domains of physical fitness, including power, speed & agility. Teens ages 12 and up also have the option to workout in our regular CrossFit and RISE classes with parent permission. Email us for more information about our Performance Lab Classes. All classes and movements are taught safely and effectively under the supervision of CFP’s thoroughly trained CrossFit Kids Trainer, Michelle Shuck. Coach Michelle and her husband Brandon own CFP. 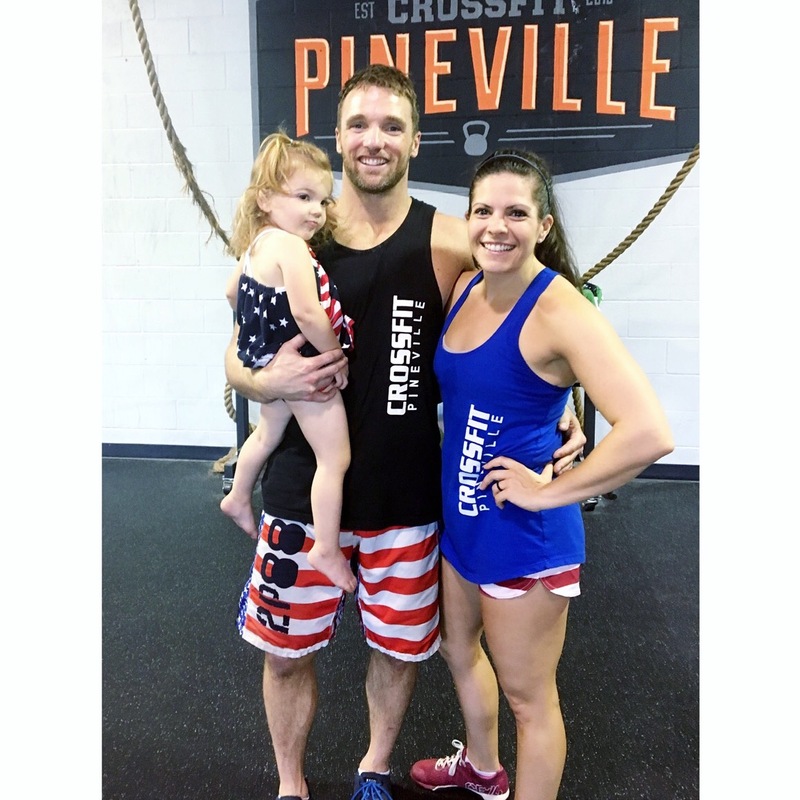 In addition to her CrossFit Kids Certificate, she has her CF Level 2 Certificate and Kettlebell Certificate. She has a degree in Special Education and taught in Charlotte for 5 years before training at CFP full time. Michelle loves inspiring kids (young and old 🙂 ) to be fit and healthy! Sane nutrition for kids in 150 words: Our goal with kids isn’t to get them on the zone or paleo diet, but to get them to think and make healthy choices about what they eat. Our goal is to teach them very basic concepts – sugar is not healthy, protein is good for you and you need to eat some in every meal. Nuts and seeds are healthy fats. Eat them, don’t avoid them. Pasta, white bread, and white rice are not that good for you, stuff that’s red, yellow, green and found in the fruit and vegetable aisle is very good for you. Eat a lot of it. Look at your plate, make a fist, eat that much meat every meal; turn your hand over and fill it with nuts and seeds, eat that much good fat, fill the rest of your plate with stuff you found in the fruit and vegetable aisle. Fill your plate this way at every meal, don’t eat more.